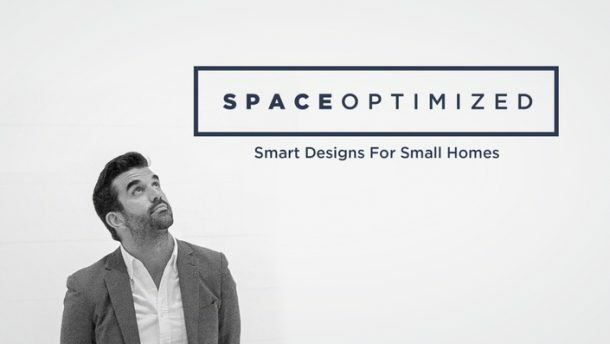 Increasing the capacity of a microapartment to entertain guests is challenging enough. 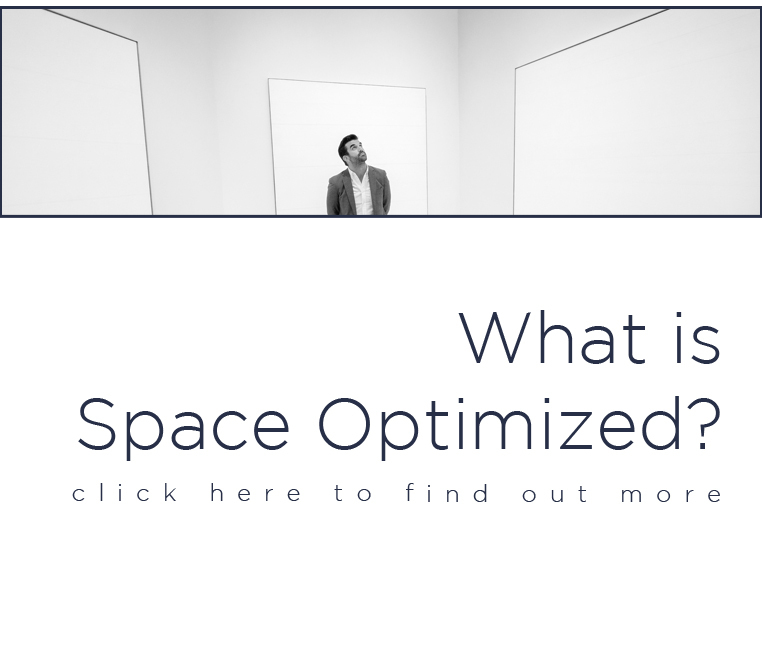 But what if the process doesn’t involve breaking walls to free up more space? 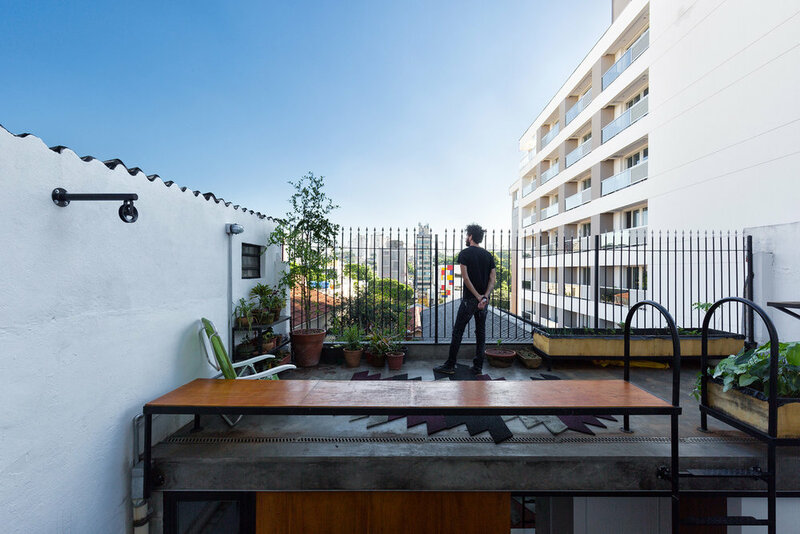 A São Paulo microapartment got the major makeover it deserved when the owners commissioned VAGA to install an annex to extend the space. 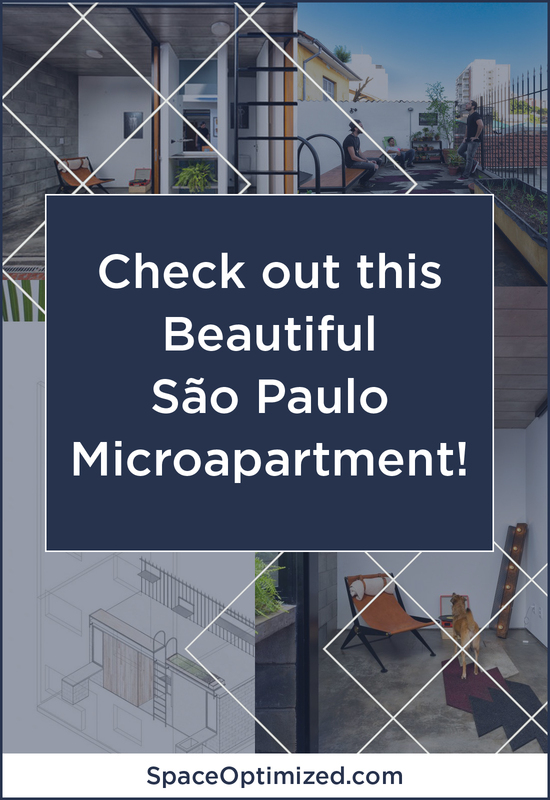 VAGA is a leading interior design firm based in Brazil that specializes in contemporary space makeovers. 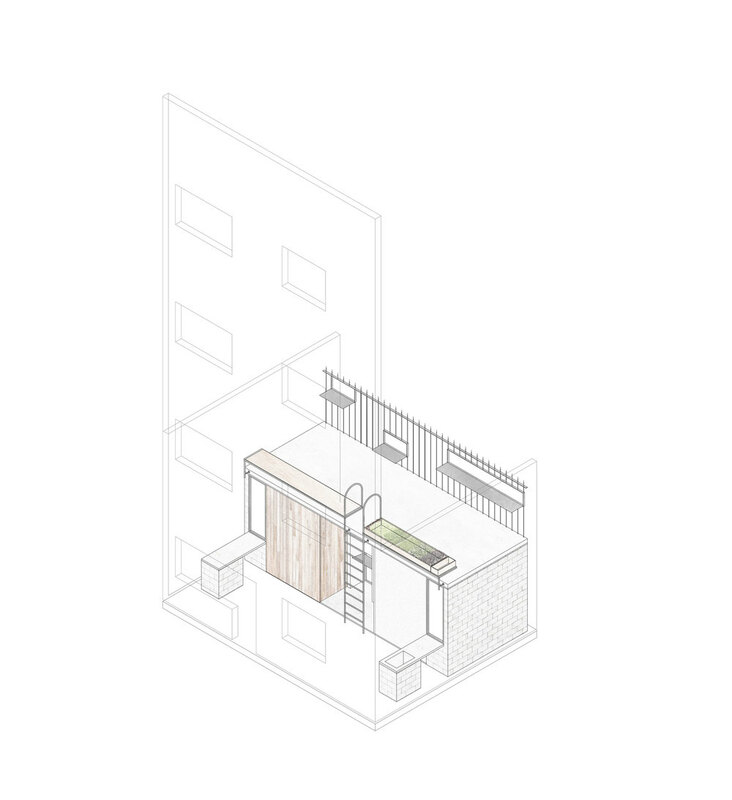 The plan was to add two bedrooms, a bathroom, and a rooftop deck to the mini dwelling. But the property was so tiny, designers had to build an annex to maximize every square inch of space. 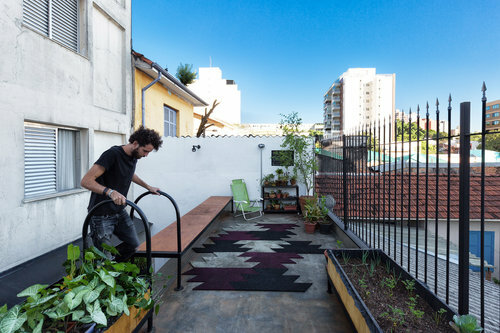 The Vila Madalena microapartment features an eclectic mix of industrial and natural aesthetics. It’s definitely homey yet trendy but the limited square footage leaves little room for guests and social interactions. The annex adds more breathing room to the residence without disturbing the existing design. The annex offers more space for social gatherings too. To keep up with the modern aesthetics, the floors and bare walls are kept bare. 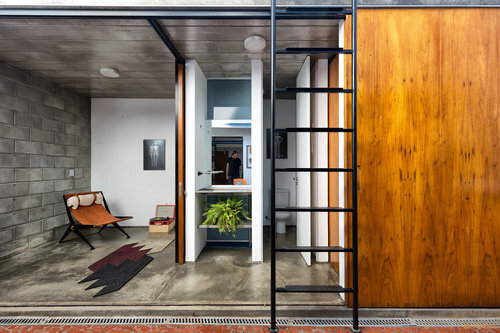 The concrete walls and floors create a stunning contrast against the natural wood finish. Large sliding doors keep the private and social quarters apart. But with just a sliding motion, both rooms transforms into a large space for entertaining guests. The walls and floors are made of concrete molded lattice panel slabs on brick-layered concrete blocks. On the other hand, the benches, window frames, and the stairs were made from reinforced steel and thick wood in natural finish. The open environment of the annex gives the sense of a larger space. Furnishings are kept sparse so the modest space isn’t overwhelmed by clutter. The roof deck is just as inviting and stylish! 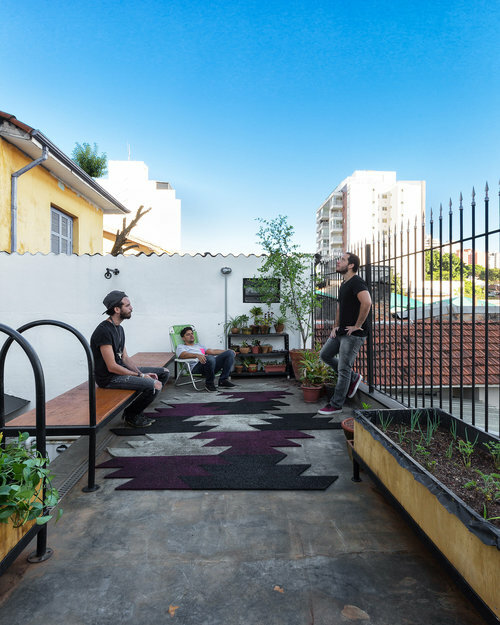 The exterior space offers a laidback vibe thanks to the mini garden and sizable wooden benches. Imagine chilling here, holding a beer and taking in the gorgeous city views! A graphic rug and a recliner pull the entire look together, adding a dash of style without looking overdone. 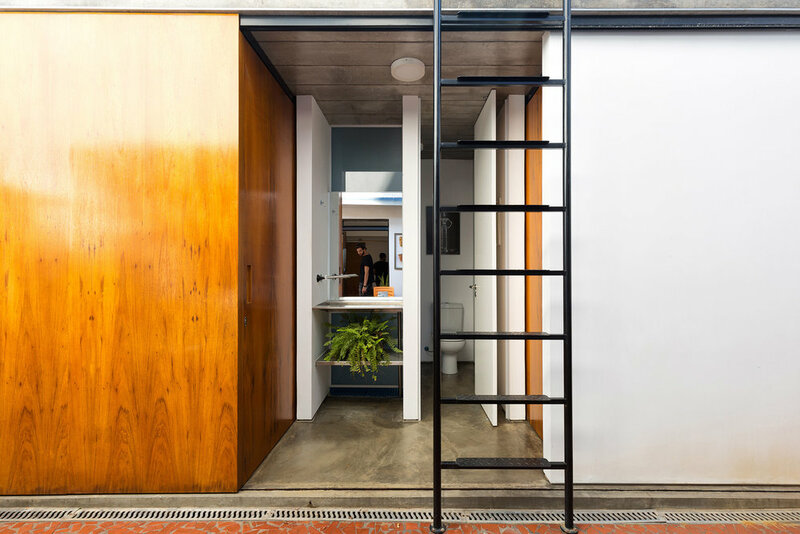 A simple fixed ladder made from reinforced steel connects the private and social quarters to the rooftop deck. The annex is eco-friendly too! Rainwater is directed from the rooftop and into a cistern for later use!